How do you know the negotiated price and the monthly lease payment you are being told is actually the correct lease payment for that negotiated selling price? Great Question! The answer is YOU DO NOT KNOW! You trust the dealership to do the right thing. Even if the consumer can read and understand the lease contract, even if they actually see the same selling price they negotiated as the purchase price of the lease, CAN THEY STILL BE TAKEN ADVANTAGE OF BY THE CAR DEALERSHIP??? 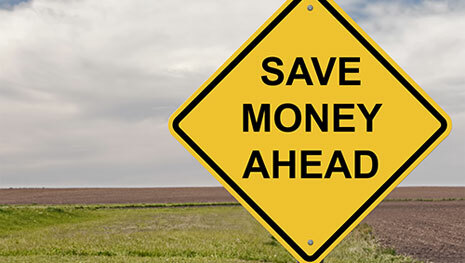 Most car dealerships who discount the vehicle for the lease will then turn around and MARK UP THE INTEREST RATE and take back all of the discount PLUS MUCH MORE! 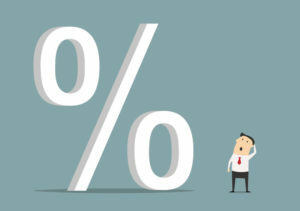 What does it mean to MARK UP THE INTEREST RATE? HOW CAN THE DEALERSHIP DO THIS? Car dealerships are licensed brokers for banks and leasing companies, there is a BANKING LICENSE on the wall of the business managers office. AS A BROKER “OF MONEY“ CAR DEALERS CAN MARK UP THE INTEREST RATE AS MUCH AS 300 BASIS POINTS OR 3% A.P.R. AND IT IS COMPLETELY LEGAL! That is a Hugh amount of mark up which is pure profit! That $3,600 comes directly from the additional interest charged by the car dealer. This is especially important when the Consumers credit is not so good but approve able. So if 3 points equal $3,600 profit to the Car Dealer, then 2 points is $2,400 and 1 point is $1,200. When consumers think they can out negotiate a professional Automobile Sales Manager IT WILL NOT HAPPEN!! You will think you did a great job, but in reality THE SALES MANAGER HAS THE ABILITY TO MOVE MONEY AROUND ON A BANK CONTRACT LIKE YOU HAVE NO IDEA. Plus there are MANY OTHER AREAS THAT THE DEALERS CAN MARK-UP AND YOU WOULD HAVE NO IDEA YOU ARE OVERPAYING! WHAT YOU DO NOT KNOW…… DEFINITELY COSTS YOU MONEY!!! WHAT YOU DO NOT KNOW….. DEFINITELY COSTS YOU MONEY!!! 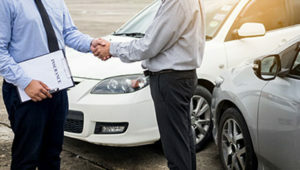 Hire a Professional from Personal Car Negotiator a former Automobile Sales Manager to Negotiate in your best interests! Know the EXACT SELLING PRICE of the vehicle PLUS Know the EXACT MONEY FACTOR (Lease Interest Rate) to be sure the dealership is NOT marking up the money factor (interest rate) SO YOU CAN GET THE BEST DEAL POSSIBLE. Receive FULL DISCLOSURE of the entire deal. WELCOME TO THE FUTURE OF AUTOMOBILE LEASING AND PURCHASING. WE ARE PROFESSIONAL AUTOMOBILE SALES MANAGERS WHO ONLY HAVE YOUR BEST INTEREST AT HEART. YOU ARE OUR CLIENT, WE WANT YOU TO KNOW, WE WORK FOR YOU! WE WORK ONLY IN YOUR BEST INTERESTS! WE WANT: REPEAT BUSINESS, REFERRAL BUSINESS SUCH AS FRIENDS, RELATIVES, NEXT-DOOR-NEIGHBORS AND CO-WORKERS!